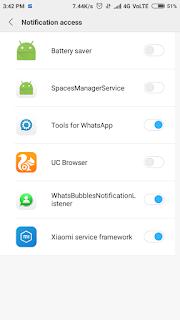 Hello friends, today I can tell you about how to enable WhatsApp chat heads without root like Facebook Messenger app? You can read all incoming message without Opening WhatsApp app. This is one of the best apps, Name WhatsBubbles, for enable chat heads in your WhatsApp. So simply enjoy this WhatsApp chat heads without rooting your device. So check out WhatsApp Chat Heads method now from below. 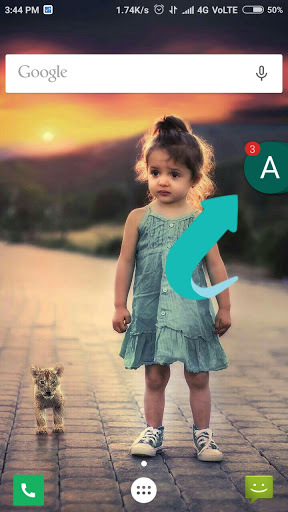 This app is completely free for use, and you will be able to enable chat heads in your WhatsApp easily. 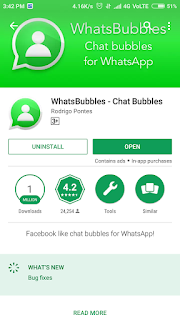 Just install the application on your device, and you will be able to get WhatsApp Chat Heads. 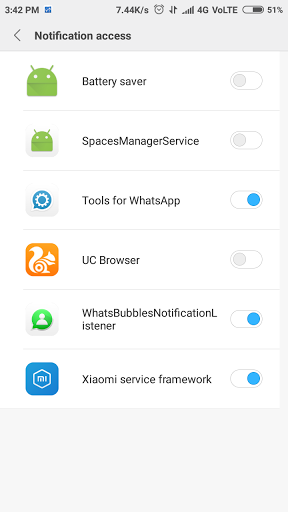 Also read, "How To Disable WhatsApp Status Feature On Your Android Mobile"
2) After Install App in your device. It's Automatically Open Notification Access option. 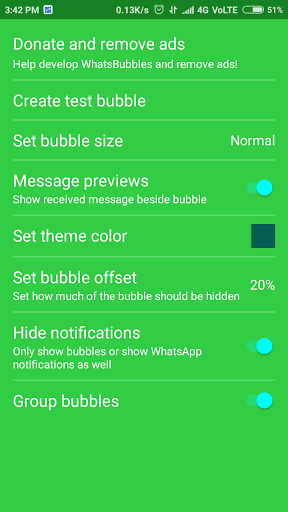 Simply Tick on WhatsBubbles Notification Listener. 3) Open like below image. 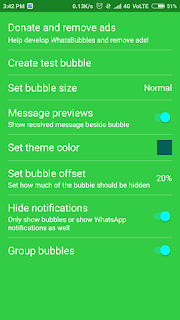 you can change bubble size, theme color, bubble offset etc. 4) Now you are done. If any WhatsApp SMS comes, then this application will give you a Pop-up, like Below Screenshot. So this was the easy guide for setup this WhatsApp app in your Android Phone, for Enable WhatsApp Chat Heads. We have Also Shared Video Tutorial Regarding this app, which is mentioned below. So, friends, this is the best Android app, for Enable Chat Heads. Download this app now from above, and enjoy it. Thanks for visiting this article.